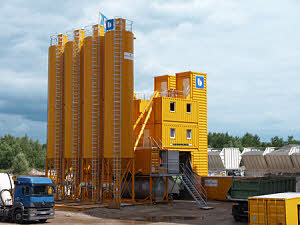 Mobilmix 3.33 - Value Tech Ltd.
As a robust concrete mixing plant comprising container modules, the Mobilmix 3.33 is optimally suited for use on construction sites. The container modules are specifically designed for transport by land and sea. The plant's high output rates make it ideal for large-scale construction projects such as airports, bridges, roads and tunnels in particular. Three mixer cycles yield an output of 10 m³ of set concrete.